The Walter Camp Football Foundation has announced the Football Bowl Subdivision National Offensive and Defensive Players of the Week, presented by Generation UCAN, for games ending November 26. 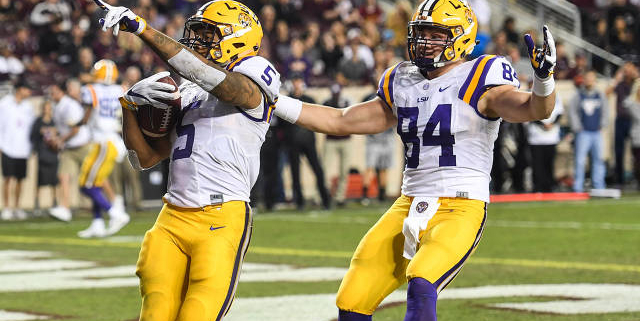 Derrius Guice set a school record with 285 yards rushing (on 37 carries) and scored four touchdowns as LSU defeated Texas A&M, 54-39. 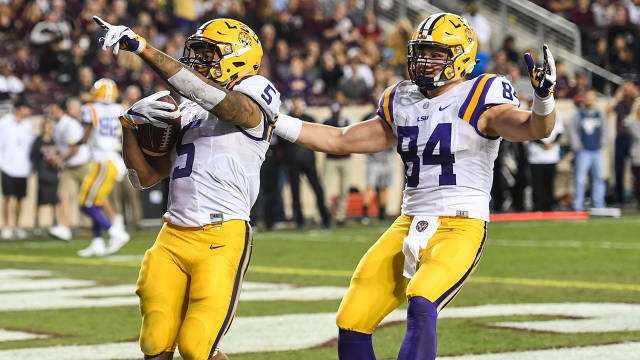 Guice scored on runs of 45, 45, 6 and 1 yard in the victory, With the victory, which improved the Tigers’ record to 7-4, 5-3 in the Southeastern Conference. Notes: Derrius Guice is the 8th LSU player since 2004 to earn Walter Camp National Player of the Week honors. The last player to earn Walter Camp honors was Guice’s teammate Leonard Fournette (Sept. 20, 2015). Brandon Bell recorded a game-high 18 tackles (3 solo), including 0.5 for losses and one pass deflection, as 7th-ranked Penn State defeated Michigan State, 45-12, to clinch the Big Ten East Division title. With the victory, Penn State improved to 10-2 and earned a spot in next week’s Big Ten Championship Game versus Wisconsin. Notes: Brandon Bell is the 8th Penn State player since 2004 to earn Walter Camp National Player of the Week honors. All eight honorees have been Defensive Player of the Week. Bell is the first Nittany Lion to be honored since Sept. 30, 2012 (LB Mike Mauti).